The naturally occurring fats and oils used in soap making are glycerides with three fatty acid groups randomly esterified with glycerol (trihydroxy alcohol). The difference between fats and oils is merely one of their physical states: fats are solids and oils are liquids. Fats and oils typically comprise both saturated and unsaturated fatty acid molecules containing between 7 and 21 carbons randomly distributed on the glycerol backbone. Overall, the reaction of caustic (lye) with triglycerides yields glycerin and soap in a reaction known as saponification. This is the most widely used soap making process. The second major soap making process is the neutralization of fatty acids with an alkali. Fats and oils are hydrolyzed (split) with high-pressure steam to yield crude fatty acids and glycerin. The fatty acids are then purified by distillation and neutralized with an alkali to produce soap and water (neat soap) [2-7]. The properties of the resulting soap are determined by the quality and composition of the component fatty acids in the starting fat mixture. In general, chain lengths of less than 12 carbon atoms are more irritating to the skin; conversely, saturated chain lengths greater than 18 carbon atoms form soaps less soluble for ready solution and sudsing. Similarly, a higher proportion of unsaturated fatty acids (e.g., oleic and linolenic) yields soaps susceptible to undesirable atmospheric oxidative changes. 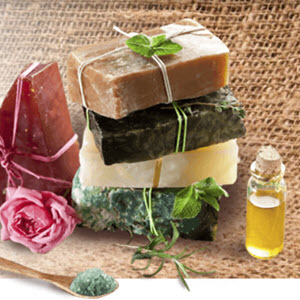 For these reasons and the fact that fats and oils are treated as commodities in the open market, the number of fats and oils suitable for commercial soapmaking is limited. The selection of the appropriate starting fats and oils forming the base composition of a soap is key to its quality and performance. Among the fats and oils used throughout the world, beef and sheep tallow are the most common fats, and oils from coconut, palm, soy, and babassu are the most frequently used oils. Soap compositions containing fractions of oils such as palm stearin and other oils with hydrogenation or other upgrading are also in the formulators' arsenal for selection. In the United States, most toilet soaps are made from beef tallow and coconut oil. Some of the common fats and oils used in commercial soapmaking are discussed in the following sections (Table 1). Tallow, which is the principal animal fat in soapmaking, is obtained from the meat processing industry as a result of rendering the body fat from beef and in some cases sheep . In the United States, most toilet soaps are made from beef tallow and coconut oil. The properties of these and other fats are dependent on the constituent fatty acids. Tallow from different sources may vary considerably in color (both initial and after bleaching), titer (solidification point of the fatty acids), free fatty acid content, saponification value (alkali required for saponification), and iodine value (measure of unsaturation). Tallow is composed of mostly long-chain saturated and unsaturated fatty acids—mostly C16 (palmitic, 28%), C18 (stearic, 18%), and C18:1 (oleic, 44%)—providing hardness and thick and creamy long-lasting lather (Table 1). 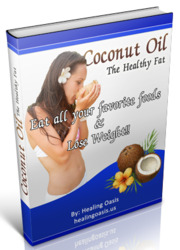 Coconut oil is one of the most important vegetable oils used in soap making. As previously mentioned, most toilet soaps in the United States are made from tallow and coconut oil. Coconut oil is composed mostly of Cj2 (lauric, 48%) and CM (myristic, 18%) fatty acids, reducing hardness and providing solubility and lather with large bubbles that do not last long (Table 1). 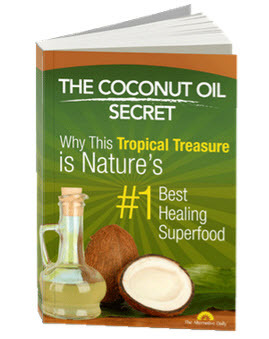 Coconut oil is obtained from the dried fruit, copra, of the coconut palm tree. Palm oil, which often serves as a substitute for tallow, is obtained from the fruit of the palm tree. It is composed of mostly long chain-length fatty acids—such as C16 (palmitic, 44%) and C18:1 (oleic, 41%)—providing properties and compositions more similar to tallow than other vegetable oils (Table 1). Palm kernel oil unlike palm oil, is obtained from the center of the nuts of the palm tree and is composed of mostly shorter chain-length fatty acids—such as C12 (lauric, 50%) and C14 (myristic, 16%)—providing properties and composition similar to coconut oil (Table 1). Palm kernel oil is commonly used as a substitute to coconut oil in the soap-making process. Like palm oil or tallow, palm stearin is composed of mostly long chain-length fatty acids but with lower degree of saturation. Palm stearin is produced by splitting palm oil into palm olein (which is used in foods) and palm stearin. Palm stearin provides properties more similar to tallow than other vegetable oils. Although the five oils discussed are the most commonly used fats and oils in the soap-making industry, other sources such as lard (hog fat), Babassu oil, rice bran oil, palm kernel olein, and soybean oil are also used throughout the world. How to make soap with palm stearin and coconut oil?